This website was born in 1923, in Paris. That year, at 10 rue Delambre in the Montparnasse Quarter, a new cafe opened to the public: Dingo American Bar and Restaurant. 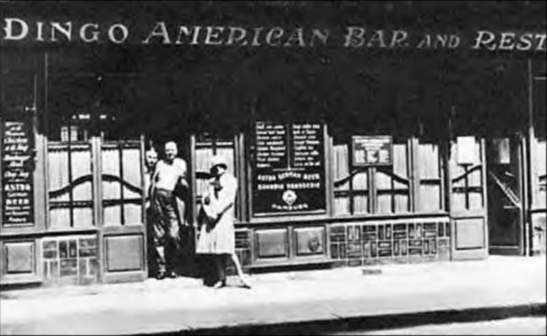 Owned and operated by a British ex-boxer named Jimmie Charters, it quickly became a favored watering hole and gathering place for American ex-pats. It was here, at the Dingo, that Ernest Hemingway and F. Scott Fitzgerald first met. 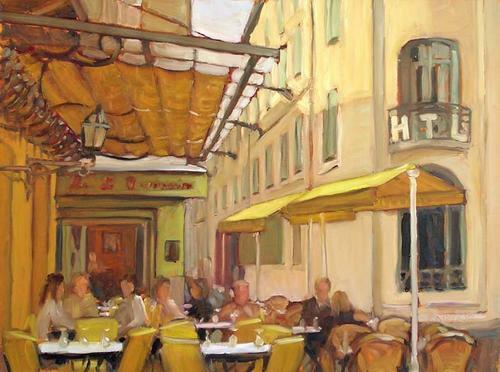 The cafe scene of 1920’s Paris has become legendary for the remarkable array of intellectuals who gathered at its tables for refreshment and repartee; to catch up on news and gossip, and to discuss the arts. Seemingly all the leading lights of the day were there, in Paris, meeting over coffee and croissants and comparing notes. 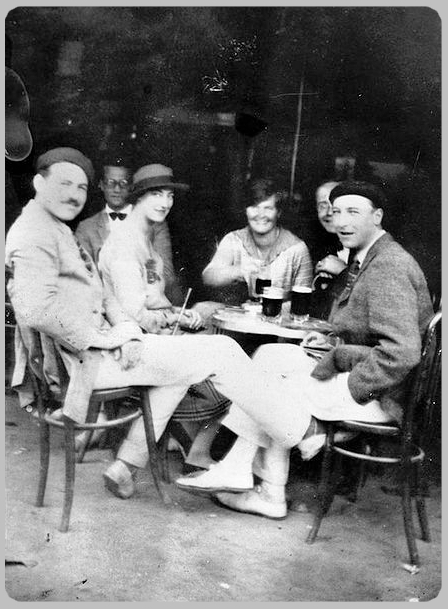 The Dingo, La Rotonde, Le Dome, Cafe de Flore, Les Deux Magots, and other small establishments all over the Left Bank drew such luminaries as authors Fitzgerald, Hemingway, and Joyce, and painters Picasso, Matisse, and Dali, to say nothing of famed artists and intellectuals such as Eliot, Stein, Pound, Sartre, de Beauvoir, Dostoyevsky, Pushkin, Modigliani, and many others. Cafe Dingo seeks to replicate the atmosphere of those small cafes, where art, literature, and life in general were discussed and debated with passion and zeal. (If you’ve no idea what we’re talking about, Woody Allen’s Midnight in Paris  presents a more vivid picture) It may be true that none of us has won a Pulitzer, but by golly, that hasn’t shut us up yet. We hope you enjoy our articles on the best (and not so best) that film, television, music, and literature have to offer. Feel free to share stories and pictures with friends, and to comment (courteously) whenever the urge strikes.